The rubber-like surface of these cutting mats self-heals, remaining smooth even after thousands of cuts. 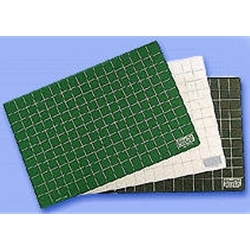 Uchida self-healing cutting mats also feature a non-glare surface with grid lines for accurate cutting. With semi-rigid undersides, they are thick and sturdy.